There is an interesting question being posed which is, is alcohol abuse a factor of anxiety disorder or is anxiety disorder caused by alcohol abuse? It is a classic “which came first” scenario that has a lot of people looking for answers. Science has already noted the hereditary factor in alcohol abuse stating that a child of a person who has an alcohol abuse problem is at greater risk of having an alcohol abuse problem as well. The question might be, are they at more risk because of the alcohol itself or because living in a home with somebody who has an alcohol abuse problem causes emotional and behavioral problems such as anxiety disorders? Anxiety is a normal type of coping mechanism that we all display. It helps us deal with stressful situations and keeps us in tune or focused on the tasks at hand. It is when anxiety takes over our normal thinking patterns and makes us feel dread for even the simplest daily tasks that it becomes a true and chronic disorder. For some people having a drink at the end of the day is the perfect way to unwind from a stressful day however for those with anxiety disorders alcohol can heighten the symptoms of anxiety disorders and may even cause a serious panic attack. 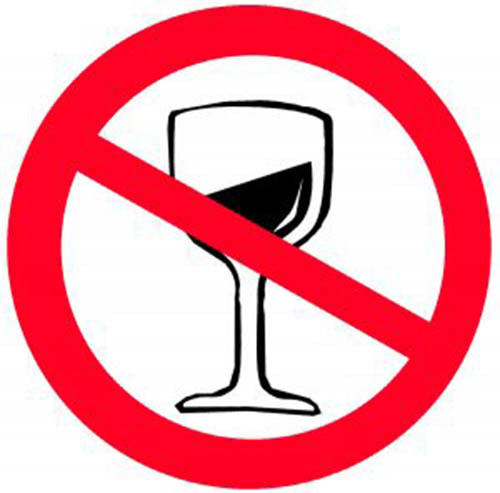 Even with that the risk of alcohol abuse in individuals with anxiety disorders is very high. It is stated that about 20% of Americans that are diagnosed with anxiety disorders also have an alcohol abuse problem and it is also noted that 20% of people with alcohol abuse problems also have anxiety disorders. It seems that one plays into the other very nicely which causes both disorders to turn into chronically excessive problems that are disabling. Individuals with some type of anxiety disorder are at least three times at risk to also have an alcohol abuse problem and the same goes for the reverse. Individuals who have alcohol abuse problems are also three times more likely to have anxiety disorders. The disorders are independent which means one does not cause the other however one disorder can cause the other disorder to become worse. An anxiety disorder might cause an individual to use alcohol to relieve the symptoms of the anxiety which then leads to abuse of alcohol because the actual use of alcohol tends to make the symptoms of anxiety worse. The worse the anxiety symptoms are the more the individual uses alcohol to try to lessen the anxiety. Alcohol abuse causes anxiety during specific times such as while the individual is actually drinking and then during the time he/she is craving to drink. Physiological changes in the brain from alcohol abuse causes the manifestation of anxiety disorder symptoms at the same time the individual is drinking. This means in a normal brain the nervous system helps to control anxiety by not allowing it to become exasperated. A brain that has been damaged by alcohol abuse the nervous system is damaged and cannot keep the anxiety symptoms in check as it does in the normal brain. It used to be thought that once an individual was treated and recovering from alcohol abuse the symptoms of anxiety disorders would be eliminated. It is now understood that these disorders are independent and need to be treated as such. Once alcohol abuse has been treated and the individual is recovering and not abusing alcohol anymore, the symptoms of anxiety will likely still be present. The anxiety disorder must be treated as an independent disorder to help the individual regain a normal life. Financial problems, physical medical problems, frequent hospitalizations, and family problems. There is a very real risk of prescription drug interactions when treating the anxiety disorder and the individual continues with the alcohol abuse. Dangerous side effects from combing the prescriptions with alcohol can cause extreme side effects or even death. The alcohol withdrawal symptoms are generally more intense in individuals who have both disorders. These complications and difficulties are the very reason why it is imperative to treat both disorders as independent disorders and not as co-disorders with a “fix one, fix both” type of treatment. As you can see there is a very real link between anxiety disorders and alcohol abuse but it is still very hard to define which disorder actually caused the other in many cases. The two disorders seem to go hand in hand and are very commonly found as a combined problem for those with anxiety disorders as well as those with alcohol abuse problems. The most important factor to consider is not what caused what, but to treat each disorder as its own problem. Curing one does not cure the other. In the past it was thought that if one disorder was eliminated the other would naturally dissipate. However in recent studies it is shown that this is not the case at all. In order to treat the individual completely, both the anxiety disorder and the alcohol abuse disorder must be treated as two, very separate disorders which require specialized treatment for each. Mind disorder caused by alcoholism.